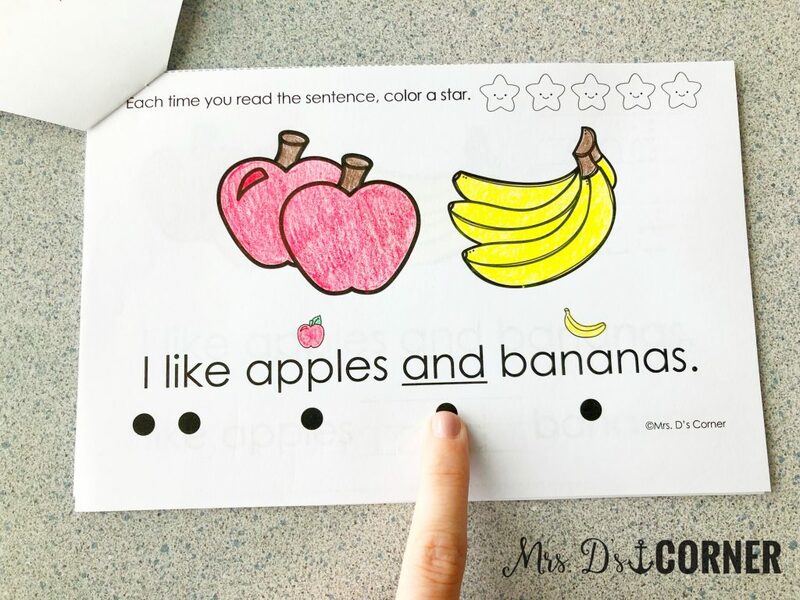 Sight words are commonly used words that are an essential part of any educational curriculum. 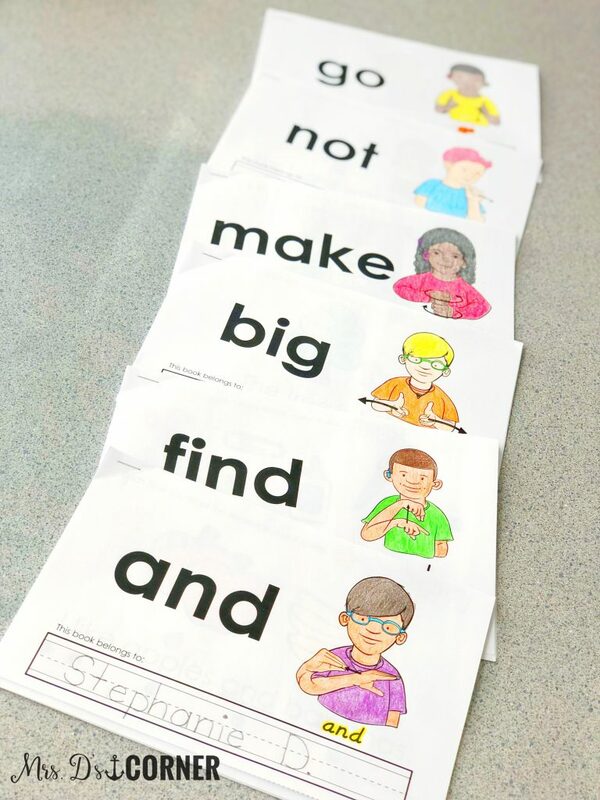 These high frequency words are part of everyday life, so it is important to teach our students these words on sight so they don’t have to sound them out each time they are encountered. 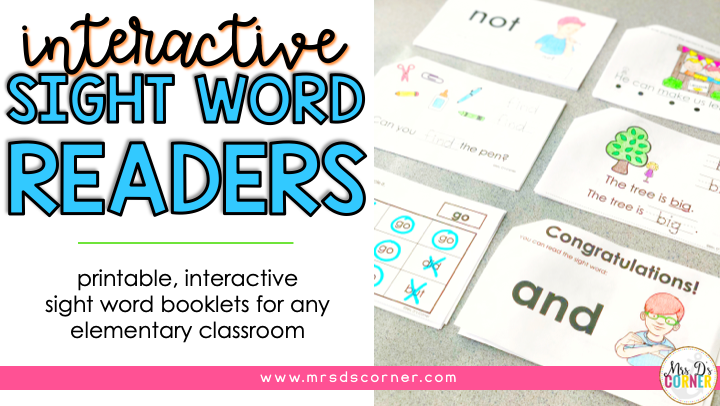 These sight word books were created out of a desperate need for my own self-contained classroom. 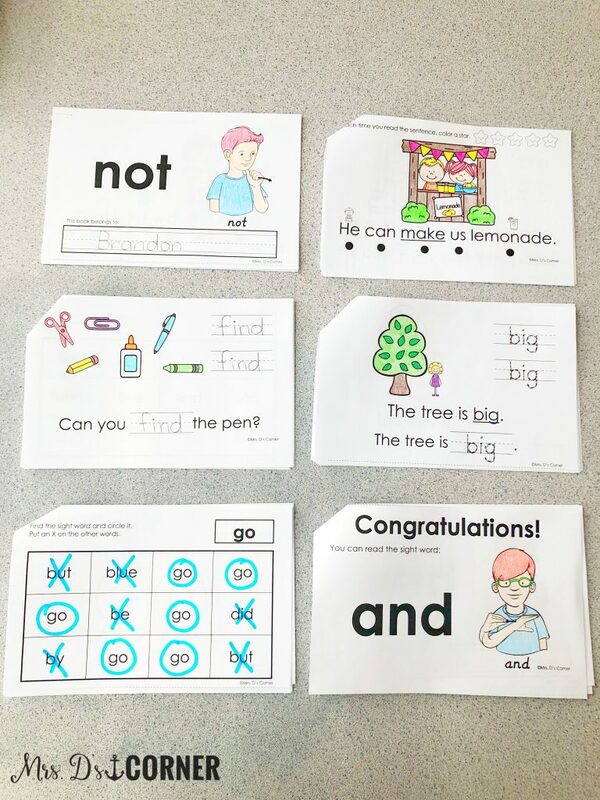 Students in my classroom, verbal and nonverbal, were struggling with identifying, reading, and learning sight words… but they had IEP goals to meet and I had zero curriculum to help them achieve their annual goals. So I created these sight word readers for them. 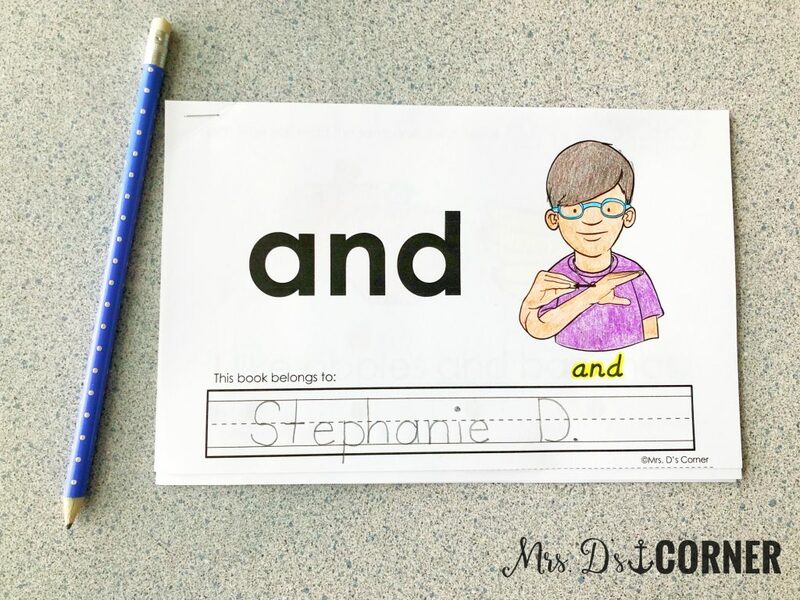 Because the district I worked for did not provide a reading curriculum with a specific set of sight words to master, I chose to start with the Dolch word lists and common words found within the grade level curriculums my students were experiencing in inclusion. In my classroom, this is typically how we use the sight word readers. You don’t have to follow my schedule or plans; make them work for you, your students, and your schedule. First, it is very individualized. 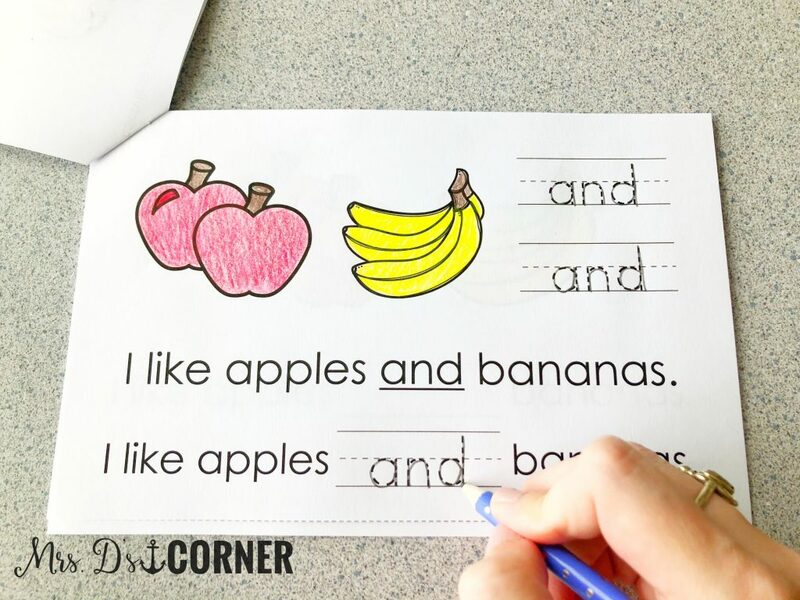 Not every student is reading the same sight word reader every week or at the same time. 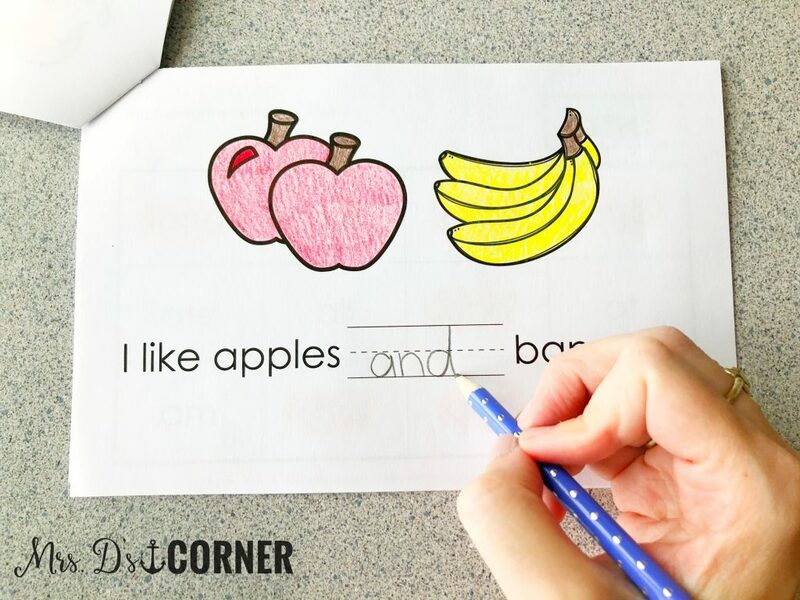 It depends upon the sight words the student knows, IEP goals, grade level, and so many other factors. But you know your kids best, so you will best be able to determine how and where to start! 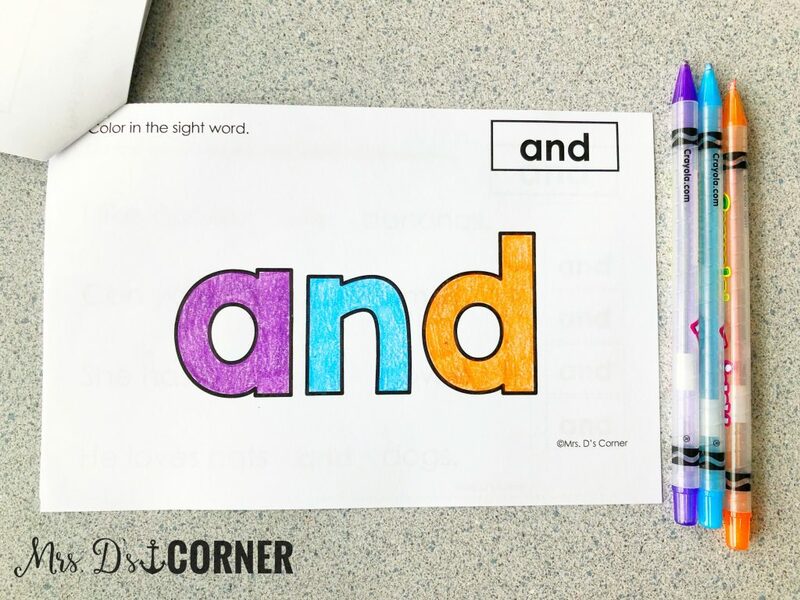 On Monday, I introduce a new sight word reader. This is done during Guided Reading block when we have small group. On Tuesday, we will re-read the story again. Then we will begin working through the activity pages. We practice reading our sight words using the flashcards. On Wednesday, we will re-read the story again. Check all of our work on the activity pages (so essentially we are doing them all again as reinforcement, but we call it “checking our work”). Then I will sign the last page as the certificate of completion for that sight word book. We practice reading sight words using the flashcards. 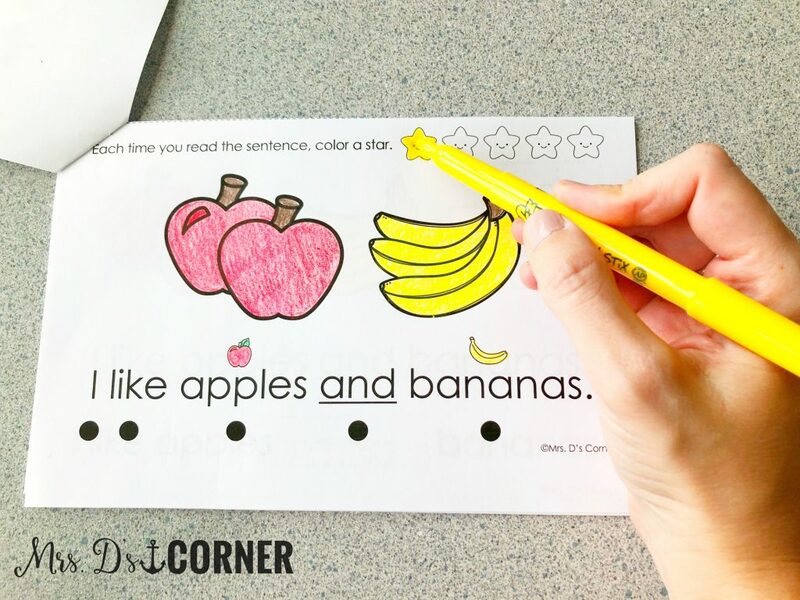 If there is time at any point during small groups during these days, I will let them color in the pictures. This is the general schedule for my lower level students. 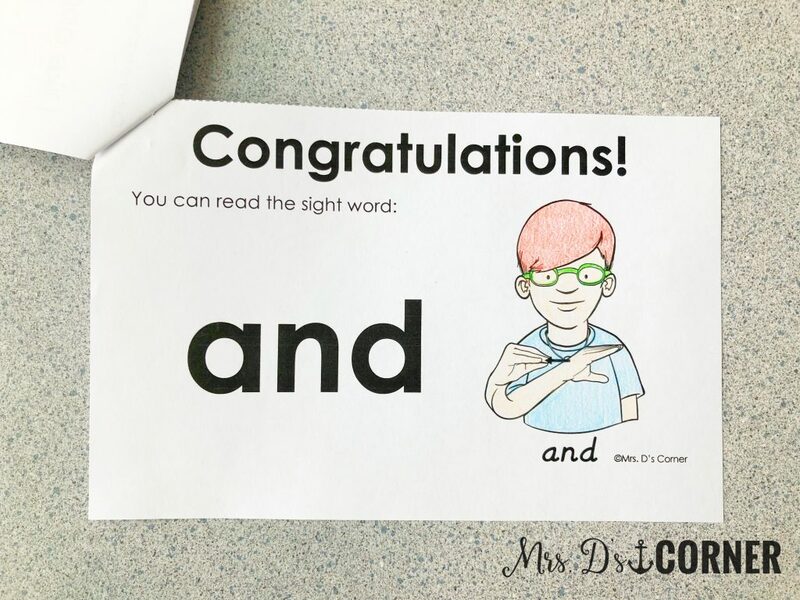 Many of my higher level students will read 2 sight word readers in one week (or try to) on a Monday-Tuesday, then Wednesday-Thursday rotation. It is very variable… meaning if we have an assembly, field trip, special schedules change, or any alteration to our classroom schedule, this does affect our guided reading block schedule. But ya’ll know about that… us special education teachers are flexible! 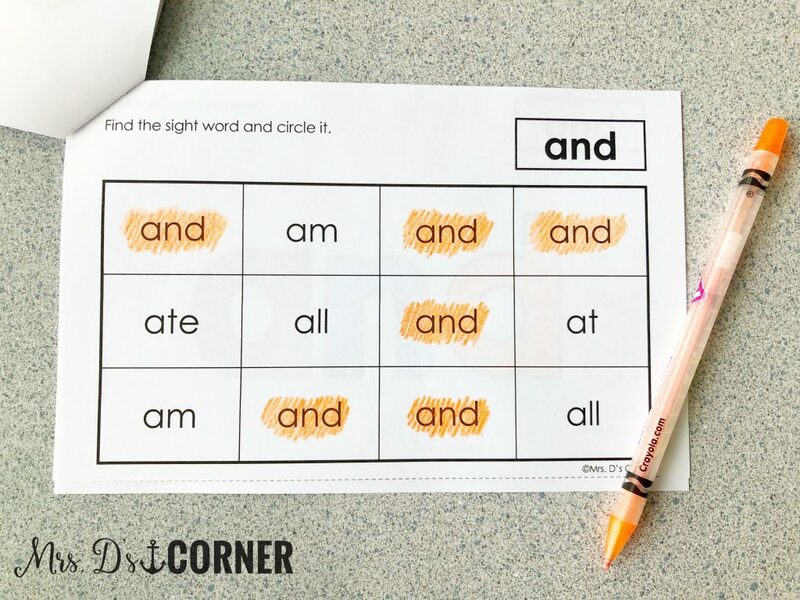 The video above is a great preview and demonstration of exactly what you get with each sight word booklet and the activities the students will complete for each sight word. • Cut and paste it. The sight word booklet also includes a certificate as the last page. • First, watch the video preview to see everything in one book. • And then download this freebie to try out! Don’t know if this is where I can ask a question. 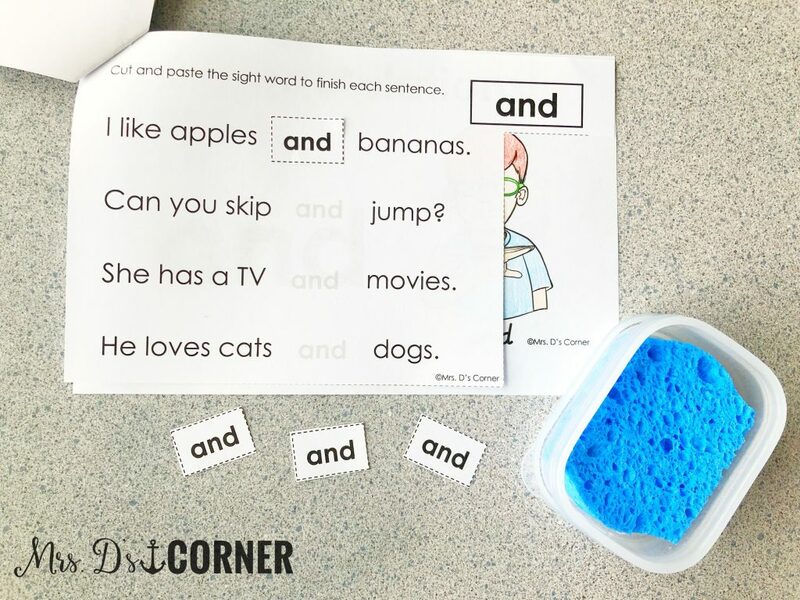 My 4 year old loves to learn and he is very smart for his age but when it comes to sight words he is not interested. He would rather work in the first grader book! Do you have any fun things I could get to make it fun for him?